The Belgium and Chelsea star insists media speculation saying he has reached an agreement with the Liga giants is wide of the mark. He went as far claiming playing for Madrid was a "dream" of his last year, though he was unable to follow Belgium team-mate Thibaut Courtois to the capital club last summer summer. 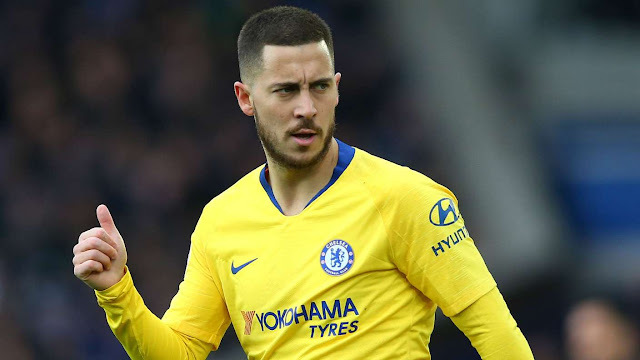 However, the club also face a transfer ban and have failed in their appeals thus far,leaving them in a difficult spot in their hunt to replace Hazard should he depart. He also helped Belgium get their Euro 2020qualification campaign off to a fine start last Thursday, scoring a brace in a 3-1 victory over Russia in Brussels.